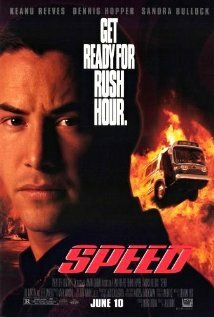 Buy or Rent Speed (1994) Movie DVD & BluRay Online! Movie Plot: Bomber terrorist’s elevator plan backfires, so he rigs a bomb to a LA city bus. The stipulation is: once armed, the bus must stay above 50 mph to keep from exploding. Also if LAPD Officer tries to unload any passengers off, Payne will detonate it. Joe Morton co-stars as Jack’s superior, and Jeff Daniels supports Jack helping him try to defuse the bomb.